We praise ALLAH (swt), the Lord of all Systems of Knowledge, for the gift of HIS Messenger Muhammad (saw) to us, as the best human example for all of mankind. We thank HIM for the Book of Excellence, the Holy Quran which is the written guidance and mercy for mankind for all time. 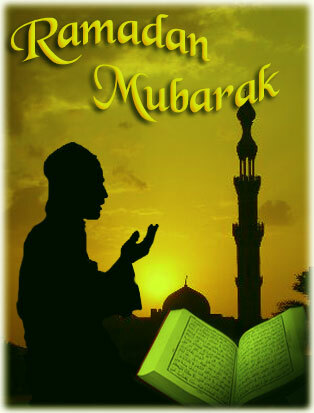 This month we await the blessed arrival of our dear friend, “the spirit of Ramadan”. Ramadan is a friend that comes once a year, and brings numerous gifts that aid and nurture us as we strive for the Jannah. The human being cannot attain salvation unless he learns to restrain himself from low impulsive desires. By learning self- restraint, we are able to discipline ourselves and to bring our lives under control for the service of ALLAH. A friend is one whom we know, like, and trust. We’re knowledgeable about Ramadan, we like that we’re fasting only for ALLAH, and we trust in HIS reward for fasting. A friend is one with whom we’re allied with in a struggle or cause. ALLAH (swt) sends this friend to us once a year to help us as we strive in HIS Cause, the greater Jihad. Let us welcome this sacred time and do our utmost to please ALLAH, by increasing our zakat, our acts of kindness and goodwill. Let us increase our regard fullness for the sacred Quran, through daily study and reflection. May ALLAH (swt) bless our Al-Inshirah community and bless all of the believers the world over!